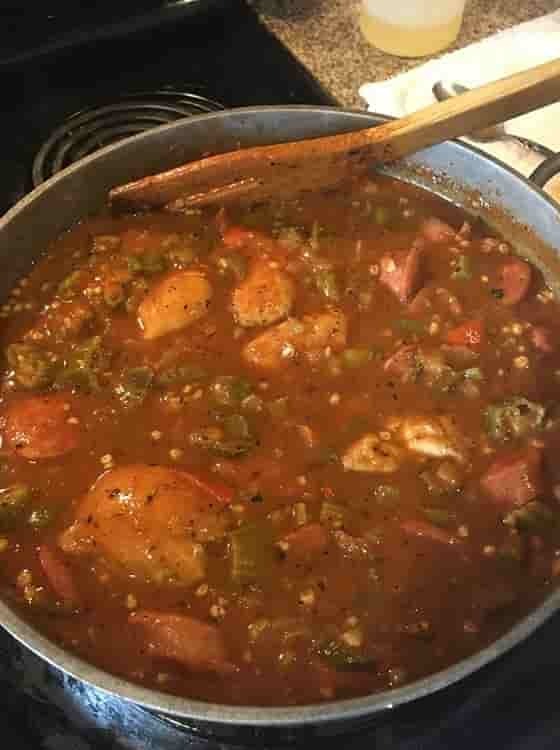 Delicious chicken and sausage, with seasonings, veggies and a roux. Cooked down and served over rice. Simmer until the consistency you like. Serve over rice. Recipe and photo property of Kelly Moore, Used with permission.